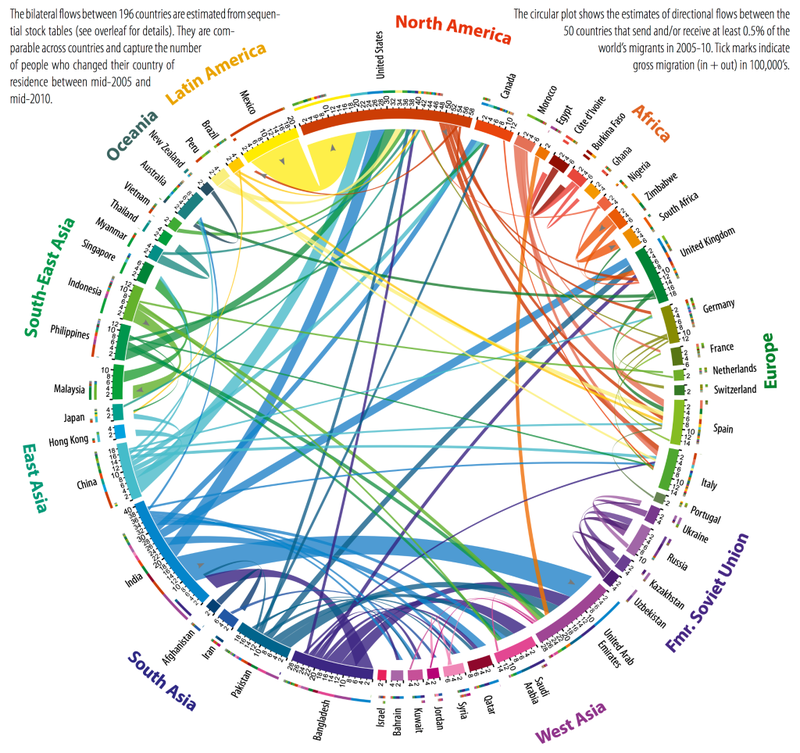 Migration is a phenomenon that’s as old as the human existence, perhaps even older. Almost all of the living beings migrate either for sustenance, shelter, better environment to flourish or simply to avoid unfavorable conditions. Human beings are no different. Since prehistoric times we can find many instances wherein people in huge numbers have migrated for atleast one of these reasons, quite often for a combination. Modern times are no different. The underlying reasons essentially remain same. However we play around with fancy words and label them as brain drain, big American dream, refugee-camps, displacements, etc, etc. We have been witnessing this in many forms and have at times realized that such population redistribution brings along with them many changes, both good and bad. The good things that come with such movement are pretty obvious. More and more people get rozi-roti (livelihood) which in turn means their living standards improve translating to more and more need of certain commodities and services, thereby, generating additional source of business for the locals. This develops into a new ecosystem, not biological but socio-economic. Mingling of different traditions and cultures that migrating people bring along with them creates not just awareness but also love and affection for them. There are many other tangible and non tangible positive aspects. Now coming to the cons of the phenomena. Indifference. Single, most important deciding factor that determines the fate of people coming together to make a living. If people get along well and treat this new place as their home and gel with the locals, it really is a good thing. But incidentally this is not what is happening. The people coming in, are not very concerned about the betterment of their new home. And this is generating intolerance amongst the ones who are living here since ages. Take the case of our very own new home, Pune or Mumbai. There’s so much poison being spilled these days on this problem. And this is happening because the demand or need is growing at such a pace that everybody’s feeling the pinch, not just the locals but even the migrants. And instead of addressing the need of meeting the demands, people are going in wrong direction of shutting down the doors to their own brothers. Need of the day is to treat the global problems as our very own, be it energy, infrastructure, water, education, etc, etc. And realize that all of us at a micro level can contribute and make a difference at the macro level. Conserve you own identity but don’t be afraid of being a part of bigger group. Remember, in numbers you’ll be heard and have better chances of survival than as a single voice. Come together, share your views, your concerns and work together towards a better home for yourself and your neighbors. Learn from nature the survival instincts. Have you ever seen the migrating birds falling short of food? Or the fishes swimming miles to lay eggs in conducive environment and finding that conditions are not favorable? Luckily, nature has endowed intelligence to the human race. That we can figure out the solutions rather being slaves of the instincts. Make use of this intelligence to work out the ways of providing enough for your flock.